← Day 13 – How did you become such a geek? Career? Personal interest? There are plenty of great conferences around in the NZ & AU scene, however my favourite is clearly going to be linux.conf.au. It’s a week long IT conference which is held in a different AU or NZ city ever year, focusing on (obviously) Linux, but also open source and software freedom in general. 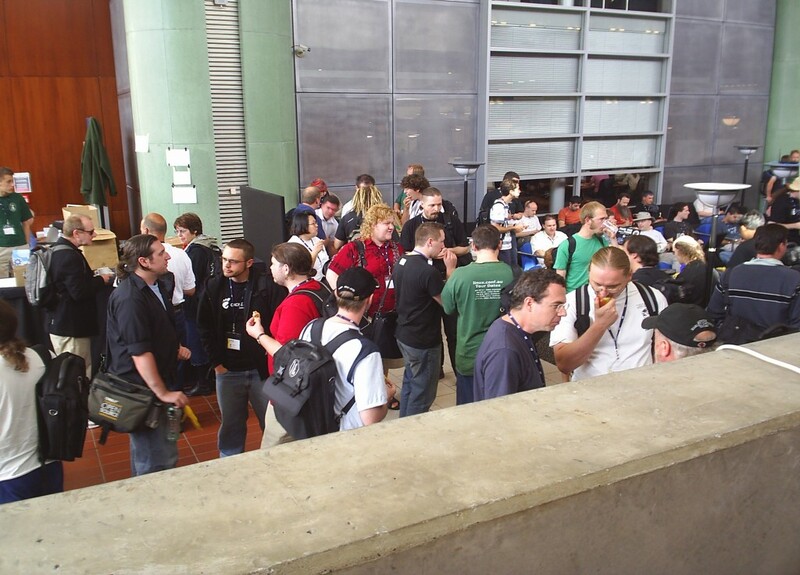 Probably one of the larger and most well known conferences around, it attracts around 700-1000 people every year (depending on venue size), ranging from web developers, application developers, system administrators and even kernel hackers. There’s a huge amount of content, typically 5 days, with 5 streams running at any one time, always means that there will be plenty of great talks that will appeal to anyone – often the problem is trying to decide which talks to choose when there’s a clash! This entry was posted in Uncategorized and tagged geek, linux.conf.au, opinions. Bookmark the permalink.